Our library is open Monday to Friday from 8:30am to 4:30pm, and closed on school and public holidays. Se condary and Primary students. Our library is a busy, vibrant space that encourages reading at all levels. We do this by building a collection of popular books that students want to read and that support their learning. Chatsworth subscribes to resource for a comprehensive collection of online websites and databases that can assist your child's learning outside the classroom and the bookshelves. 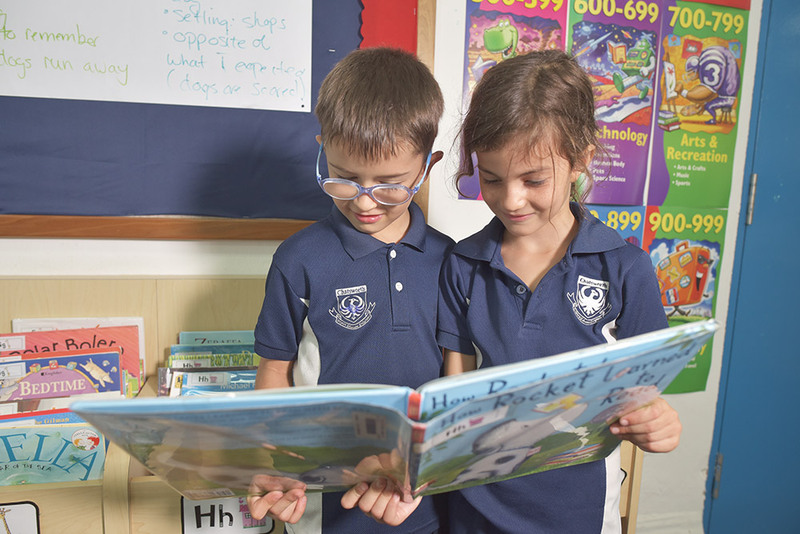 At Chatsworth, Early Years and Junior Years student has one timetabled session each week where book borrowing and/or short information literacy or reading development lessons take place. All Chatsworth students and teachers are automatically issued with book borrowing privileges. Parents wanting to borrow library books need to register with the librarian. We welcome you to visit the library during its opening hours.